ROMACT T.C.C. was launched in 2016 as a new component of the ROMACT programme which aims to assist local authorities to better integrate marginalised people, particularly their non-national Roma communities. The ROMACT T.C.C. focuses on Roma communities and assists with the cooperation between municipalities that experience immigration as well as emigration of marginalised communities. ROMACT T.C.C. recognizes that there is no “one size fits all” solution for municipalities and we are founded on the idea that local authorities are best placed to identify the challenges and needs faced in each respective territory. We complement local expertise and knowledge with the many years of experience that the Council of Europe (COE) has had through interventions at local level in COE countries. Through COE and European commission joint programmes we have many years of experience in delivering intercultural activities and Roma Mediators training. 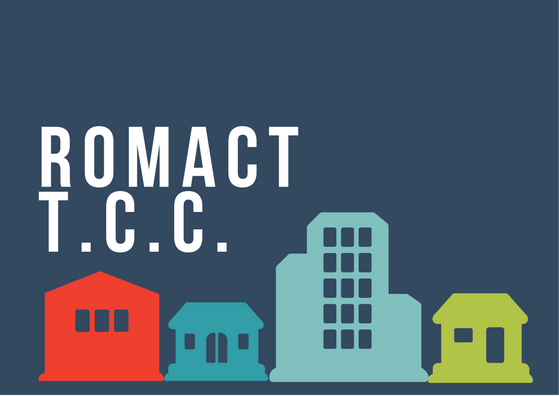 ROMACT know well that communities on the ground can have varying needs and obstacles depending on a wide variety of factors and we base the ROMACT experience on this working knowledge. The ROMACT T.C.C. structure is founded on three modules and one online platform – it is designed to directly meet the needs of local authorities in terms of specific context and appropriate outreach to assist authorities to identify solutions for the best possible actions for the inclusion of marginalised communities, particularly the Roma. Module A of the ROMACT T.C.C. consists of a one-day training session on intercultural issues. The training is delivered in the local language of the municipality and is for municipality staff, social workers, police, health professionals, educational staff and others. The trainers delivering the sessions are highly qualified and experienced professionals with an excellent understanding of local contexts and Roma issues. To meet the specific challenges and contexts for each municipality, activities on the training are carefully selected by trainers with priority given to interactive methods and practical activities. If you’re interested in this module, please follow our newsfeed for Calls for Applications to the programme. Module B was designed from our experiences on the ROMED Programme and the curriculum we have developed during our intercultural mediations. The training addresses mediators or individuals working in situations which require mediation between local institutions and Roma populations. The training programme is delivered over 6 months with distance mentoring and two training sessions at the beginning and end of the 6 month period. If you’re interested in this support, please follow our newsfeed for Calls for Applications to the programme. The ROMACT T.C.C. online platform provides a dedicate space for cooperation between local administrations, governmental agencies and mandated NGOs working on Roma inclusion. The ROMACT T.C.C. online platform was launched in 2016.